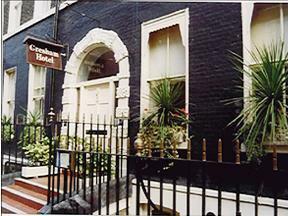 Affordable accommodation close to the British Museum and Covent Garden. Children under 5 stay free. With Holborn Tube Station just a few hundred metres east of the hotel, and Tottenham Court Road Underground to the west, there’s really no excuses not to consider this handsome Georgian Townhouse just outside Princes College. It’s certainly a fine-looking hotel and you’ve specifically come to London to grab a visit to the British Museum or Covent Garden, then the Gresham is a bit of a no-brainer. The 43 bedrooms on offer are competitively priced and much of the original Regency flavour has been preserved throughout. Guests are supported by a 24-hour reception desk and a currency exchange service.